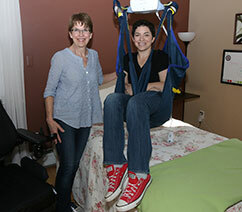 Founded by a Physical and Occupational Therapist Team, Back Home Safely is dedicated to helping people remain living in the homes they love despite any physical challenges they are faced with. Healthcare expertise, knowledge of available adaptations, and a full staff of well trained technicians and carpenters all come together to develop and implement optimal solutions to address needs of individuals as well as their families and caregivers. Home environments are assessed for safety and accessibility. 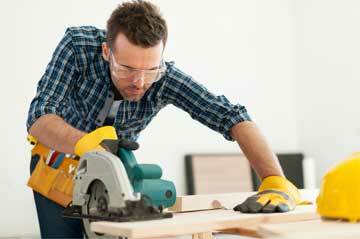 Recommendations are presented and if the family decides to pursue any of the home modifications, Back Home Safely’s carpenters and technicians make it happen. 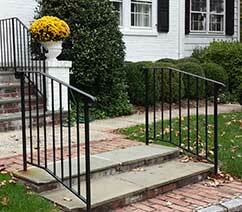 We can provide the best products and construction choices to create the safest and most accessible environment. We understand how important it is to remain in the home you love. Visit our solutions showroom to experience our stairlifts, roll in showers, ceiling lifts, lift chairs and much more! Healthcare expertise, knowledge of available adaptations, and a full staff of well trained technicians and carpenters all come together todevelop and implement optimal solutions to address safety and accessibility needs. 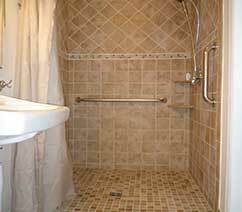 Safe & Accessible Homes Start Here! Founded by a Physical and Occupational Therapist Team, we’re dedicated to helping people remain safely living in the homes they love — no matter the physical challenge. Your home will be assessed for safety and accessibility needs by a caring therapist who has a vast knowledge of disabilities as well as the optimal solutions for your individual needs. Our full staff of well-trained technicians and carpenters spend their days making modifications that will allow you to live safely in your home. They are creative thinkers who build functional solutions. 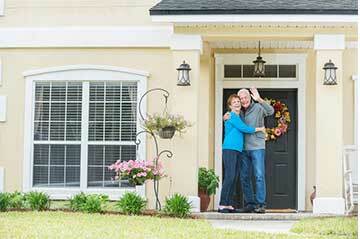 We understand how important it is for you to remain in the home you love. That’s why we provide the best products and choices to create the safest, most accessible environment. Communication with healthcare professionals Lack of rehabilitation background limits communication with healthcare professionals. At times cases are complex and communication with client’s health care professions is crucial to home modification decision making. Back Home Safely speaks with these healthcare professionals in these complex cases. Click here to see to see how your home can be made safer so that those with Alzheimer’s disease can continue to live independently AND at home. Our mission is to make living in your own home a safe option, despite life’s challenges. Find out about a rewarding Back Home Safely franchise opportunity that will allow you to use your training, skills and passion for helping others. Our philosophy is simple. We want to enable you or your love one to stay SAFELY at home. That’s why we provide innovative and affordable solutions and represent only the best manufacturers in the home safety modification field and are members of the finest industry associations. Additionally, all of the products we represent are backed by the absolute best guarantees and warranties in the industry. You Should Select Back Home Safely? 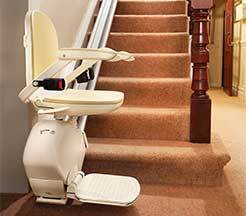 Here at Back Home Safely we look at becoming a stair lift provider extremely gravely. 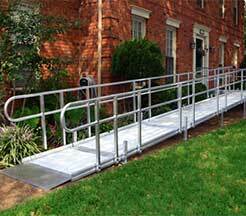 We all understand that undeniably any time clients are searching for a powerful wheelchair ramp service in Costa Mesa with heart they want the best. That's why we do strive to be truly the greatest stair lift provider we can be within CALIFORNIA. It is really our commitment to really remaining the greatest that has gained us very good esteem here with our own consumers. 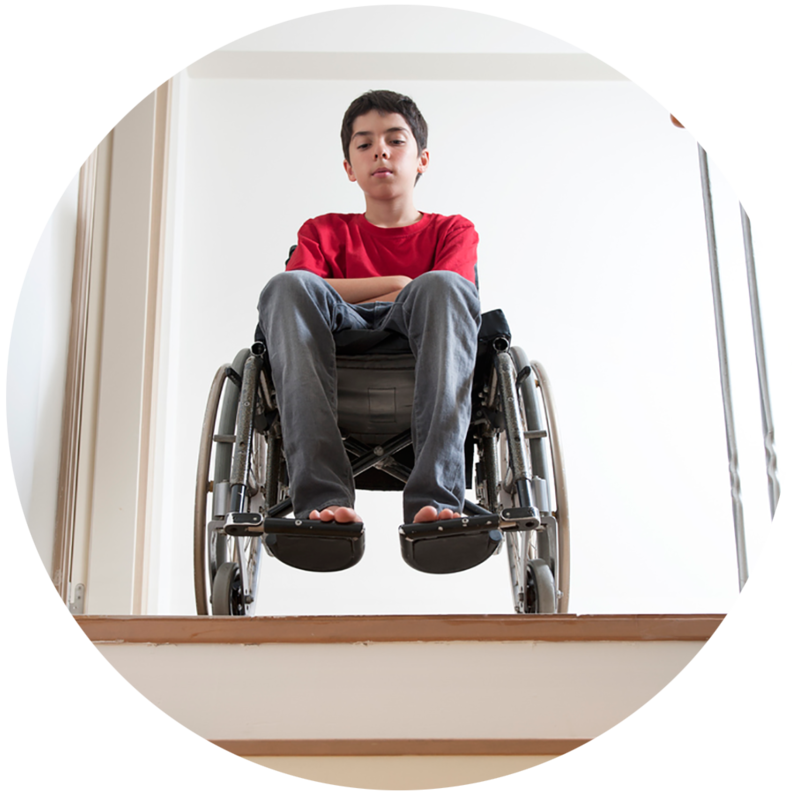 As a powerful wheelchair ramp service in Costa Mesa with heart all of us of course always aim to take the time to respond to all of our clients concerns with extreme diligence and with absolutely no impatience. All of us of course go to the trouble. All of us think that it is genuinely important to be sure that clientele feel really appreciated and even taken care of. 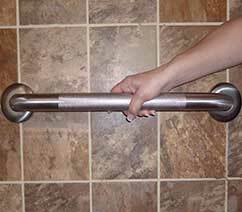 Now there are not numerous stair lift provider that hold the specific skills and experience to identify theirselves as a pioneer of their industry. 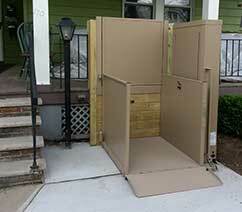 Mix that together with a great level of consumer assistance and we certainly really feel we are the ideal powerful wheelchair ramp service in Costa Mesa with heart inside CALIFORNIA. All this starts with a call. We will be thrilled to discuss any stair lift provider concerns in great detail on the phone or via email if perhaps that is better for yourself. Beyond that we will advise the answer that very best satisfies your current circumstances. Find out the reason people today describe us as the perfect powerful wheelchair ramp service in Costa Mesa with heart! Our devotion to top quality is incredibly substantial. In case you are trying to become a powerful wheelchair ramp service in Costa Mesa with heart or a powerful wheelchair ramp service in Costa Mesa with heart, there's seriously not one other route but to give it your personal best in order to excel. If a particular customer needs additional care, we give that particular customer more work. 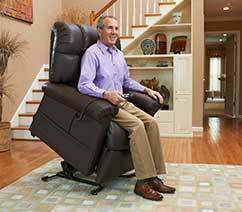 Just about anything to be positive they are completely satisfied with us all as a stair lift provider. Bear in mind, we do work in almost all of CALIFORNIA, therefore don't hesitate to give us a call. Many consumers have referred to us as a powerful wheelchair ramp service in Costa Mesa with heart, a powerful wheelchair ramp service in Costa Mesa with heart, a powerful wheelchair ramp service in Costa Mesa with heart and the top CALIFORNIA based stair lift provider there could be! Really that does not come about without unbelievably diligent toil and commitment to your foundational clientele together with the quality bestowed within your completed work. When you are shopping around to obtain a powerful wheelchair ramp service in Costa Mesa with heart, we really believe we are sincerely the perfect selection. Phone Back Home Safely to explain your needs immediately! 1257894568. For most any marketplace, experience often is a primary component affecting success. In case you may be searching for a powerful wheelchair ramp service in Costa Mesa with heart, well then this point is definitely still more true. 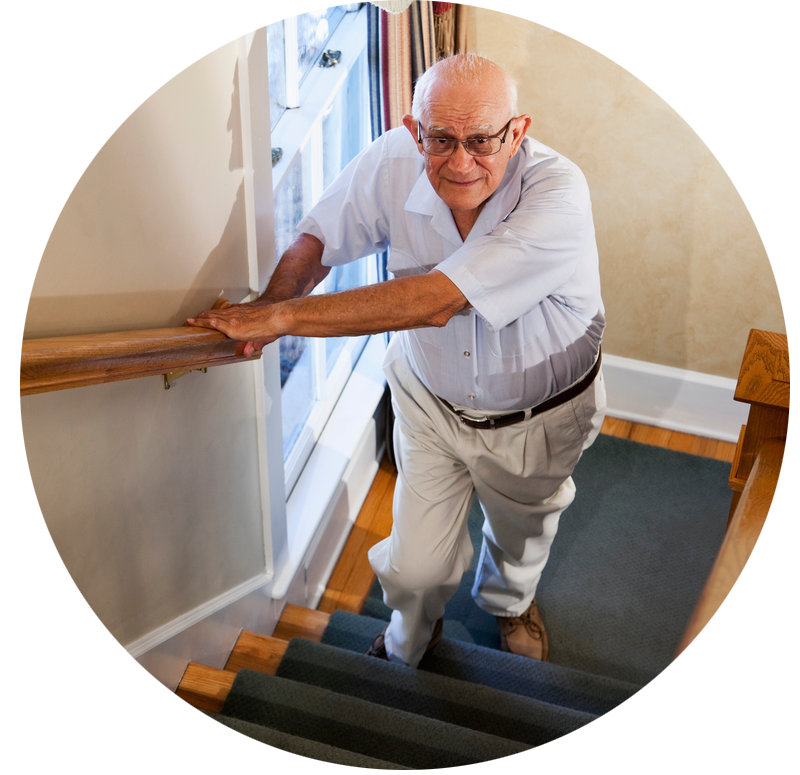 As a stair lift provider, all of us can show you decisively how the final quality is actually measured from the practical experience of the corporation that you have been contracting. 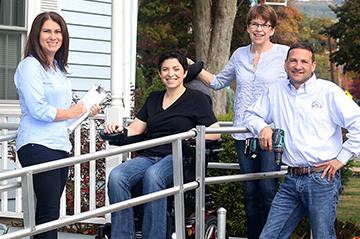 The enormously significant level of practical experience that Back Home Safely has in being a powerful wheelchair ramp service in Costa Mesa with heart, is precisely why an individual have to believe in all of us with your valuable patronage. When you're shopping for a powerful wheelchair ramp service in Costa Mesa with heart, check out Back Home Safely. Remember to communicate with us all today. Phone Us Now to Get Your No Cost Appointment! We will not be underbid. Don't pay high costs merely because you didn't talk with us all. Thinking you currently have an outstanding quote now? Want to be positively guaranteed? Consult with any of us. You well may simply see that we are indeed most suitable option. Lots of clientele have previously. 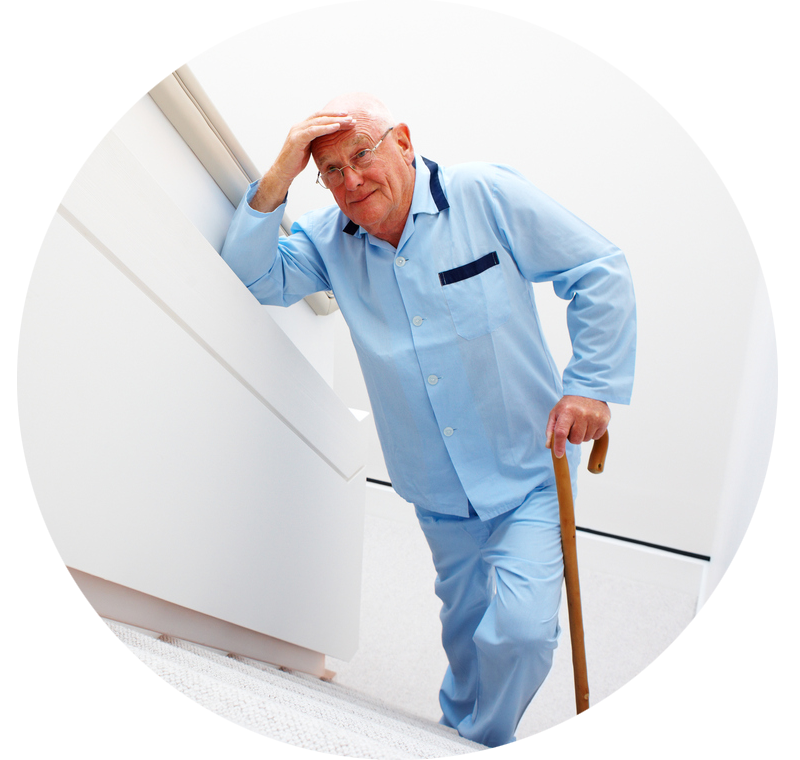 Determining the best stair lift provider to work with is a crucial challenge. 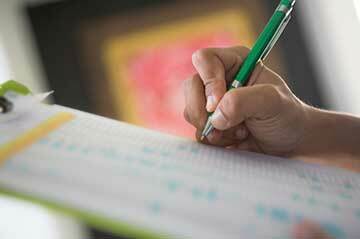 Choose a knowledgeable assessment. 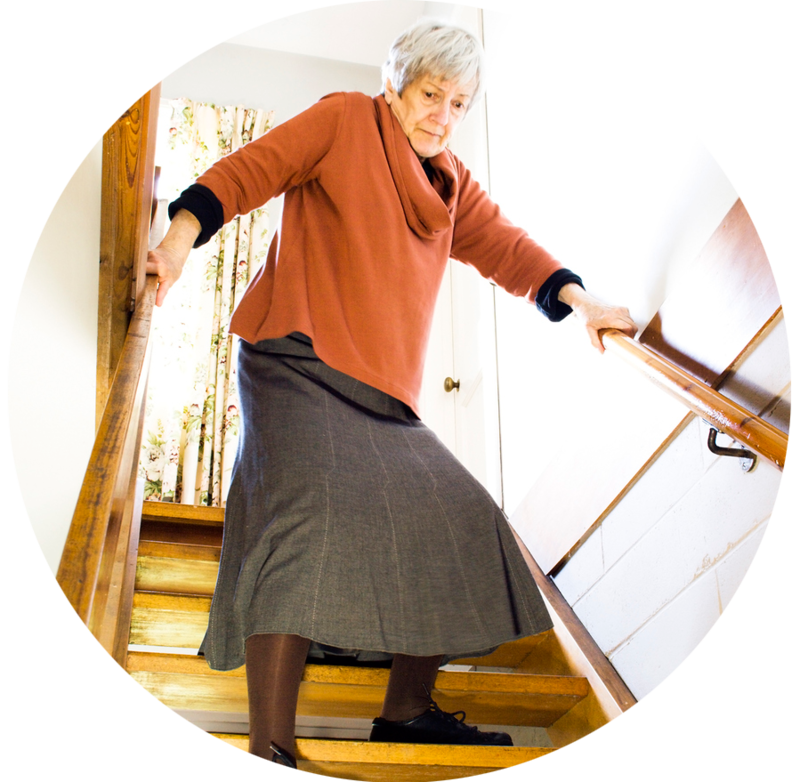 Perhaps you should discuss with all of us with absolutely no obligation to learn yourself if we are the optimal stair lift provider for you.